Hi everyone! I saw some cute nail-art that nailthatdesign on IG did and I decided to recreate it. My Moyra stamping plates (I only own 2) have been collecting dust so I decided to pull out my Lace one from them and give it a whirl. This look is sooo fun! I filed the tops of my nails to get rid of staining I had (I know, I know it’s really bad for you to do that) so I could do a negative space look with the lace. I put down a coat of my Nailtiques Formula 2 base coat (it has proteins in it that strengthens your nails), and then a coat of top coat, and then I stamped on top. To get the crisp lines I used What’s Up Nails Wide Straight Tape. 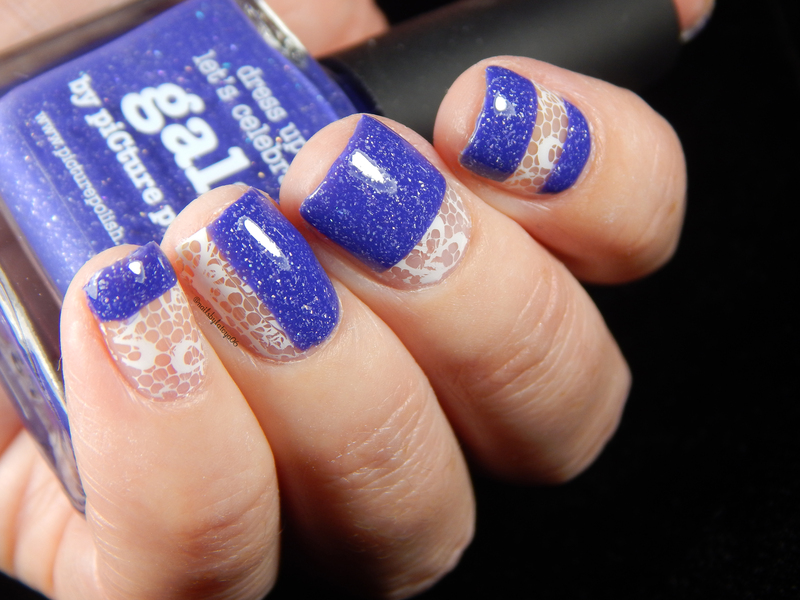 Gala is so opaque that it covered the lace in nearly one coat! What do you think of this look? Is this something you would wear? Thanks for reading today and I’ll talk to you all soon!!! This entry was posted in Beauty, Nail Art and tagged beauty, Indie, makeup, Manicure, Nail art. Bookmark the permalink. 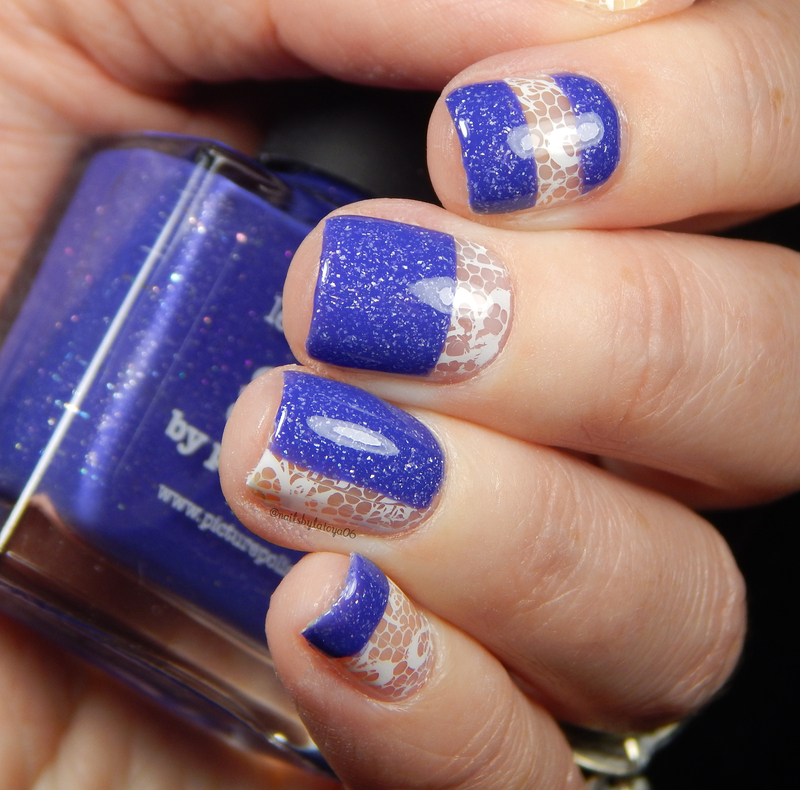 ← Fancy Filigree stamping over ILNP Close Knit!